It’s impossible to overstate Peyton Manning’s football legacy. He holds every major record for an NFL quarterback, including most career touchdown passes, most touchdown passes in a single season, most passing yards in a single season, and most games with a perfect passer rating. On February 7, 2016, he capped his already incredible list of accomplishments by becoming the oldest quarterback to win a Super Bowl at the age of thirty-nine. Through words and images, this book commemorates the career of one of the greatest quarterbacks ever to play professional football. 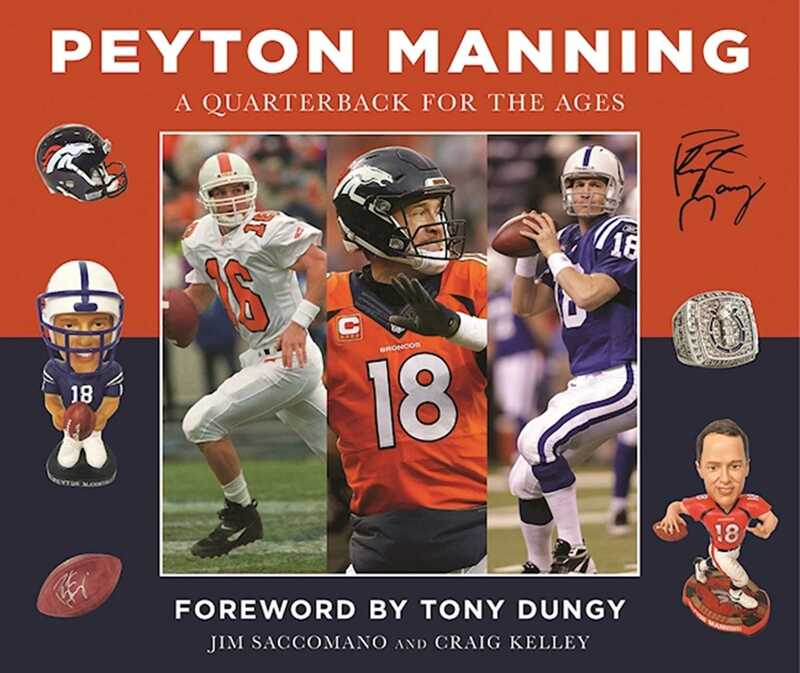 Jim Saccomano and Craig Kelley trace Peyton Manning’s legendary career from his early years as a high school star in New Orleans to his standout seasons at the University of Tennessee. The authors chronicle Manning’s selection as the number one pick in the 1998 draft by the Indianapolis Colts, his stellar seasons with the blue and white, his MVP performance in the Colts’ Super Bowl XLI victory, and his record-setting years with the Denver Broncos, which culminated in his second championship in Super Bowl 50. The authors celebrate Manning’s career in a fully illustrated scrapbook-style album with passionate and vivid prose, supreme photographic images and memorabilia, call-out quotes, and dozens of personal anecdotes and recollections about Manning from prominent members of the NFL community. This unique collection captures the magic of Manning’s career, making it an essential addition to every football fan’s library and a fitting tribute to one of the game’s greatest players. This book is a trip through the years of Manning’s career as a quarterback who defined the game and his era.